Which Epson cartridges can be refilled? Epson T068, T069, T077, T078, T079, T088, T097, T098, T099, T124, T125, T126, T127, T200, T220, T252 and T288). When refilling and using Epson ink cartridges (tanks) in your inkjet printer, it is suggested to follow these general guidelines to help maximize print quality output and maintain a healthy printer. Please contact us for any questions related to Epson ink cartridge refilling services or locations. NOTE: A compatible, remanufactured or re-branded Epson ink cartridge can be problematic when installed into the printer following refilling; typically the smart chip (at rear side of clone ink cartridge) cannot be reliably programmed. 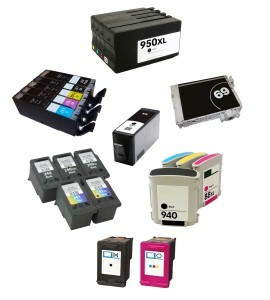 Compatible cartridges are typically purchased on-line or at select retailers (i.e sold under a different label than the regular Epson cartridge packaging) and is essentially a “remanufactured tank” of the Epson original/genuine ink cartridge. 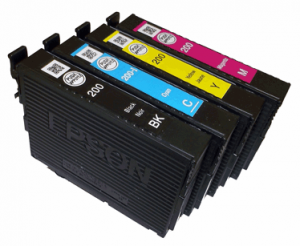 For the best refilling experience, only use Epson original/genuine ink tanks. Epson WorkForce WF-3620, Epson WorkForce WF-3640, Epson WorkForce WF-7610, Epson WorkForce WF-7620 & Epson Workforce WP-7110 printers.